An action thriller infused with irreverent humor, stars Liam Neeson as Nels Coxman, a family man whose quiet life with his wife (Laura Dern) is upended following the mysterious death of their son. Nels’ search for justice turns into a vengeful hunt for Viking (Tom Bateman), a drug lord he believes is connected to the death. As one by one each of Viking’s associates ‘disappear’, Nels goes from upstanding citizen to ice-cold vigilante, letting nothing – and no one – get in his way. Cold Pursuit was released on 58d ago in the UK and the US. The upcoming Cold Pursuit Blu-ray, DVD and VOD release date is May 14, 2019 in the US. Notify me when Cold Pursuit is available. Based on 16 Cold Pursuit reviews, Cold Pursuit gets an average review score of 67. Vengeance, violence, and pitch-black humor mix into a blood-drenched snow cone in Hans Petter Moland’s English-language remake of his Norwegian thriller. Their overall presence is justified against the main trappings of the film. It’s the way the film’s humor specifically subverts its genre’s expected emotional valences that makes it so effective. 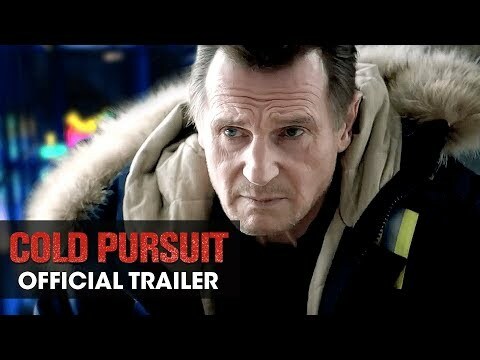 "Cold Pursuit" is the 2019 version of a recently minted tradition, the late winter Liam Neeson revenge flick. Cold Pursuit very nearly brings Neeson full circle, imbued as it is with a lower-rent version of the patented Raimi gallows humor. I can’t deny that the glum, resentful, not-giving-a-damn masculine vibe of Cold Pursuit has its appeal, as does Moland’s blunt knack for efficient screen violence. Liam Neeson stars as a revenge-seeking snowplow operator in this clumsy remake of a Norwegian film.